George Edward Harris was a son of Abraham and Margaret Harris, one of 17 children. He was born in Lower Hutt in 1889 and the family moved to the Wairarapa about 1895, farming at Dyerville, Martinborough. When George enlisted in July 1916 he was working for his father. While at Featherston Camp he had a bout of influenza. George went overseas with the 19th Reinforcement (service number 31268), leaving Wellington on 15 November 1916 on the troopship ‘Tahiti’. George spent a month in training at Sling Camp, England before shipping to Etaples Camp in France. 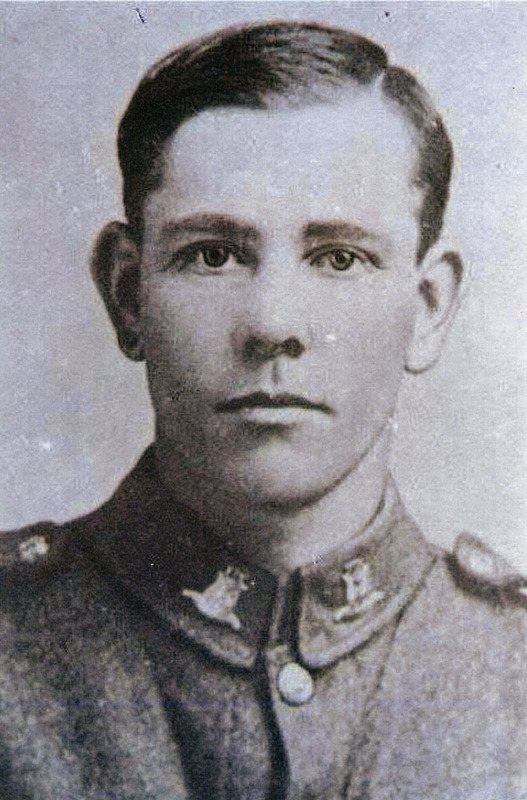 Another two months training and George was then posted to the 1st Battalion, Wellington Infantry Regiment on 27 May 1917. The New Zealand Division was preparing for its role in the attack to capture the Messines-Wytschaete Ridge, the opening round of the main British Flanders campaign for 1917. The battle opened on 7 June with the New Zealanders capturing the ruined village of Messines. In the days after German artillery fire caused many casualties and it was probably this that killed George on 8 June. He is buried at Wulverghem-Lindenhoek Road Cemetery, a few kms west of Messines.